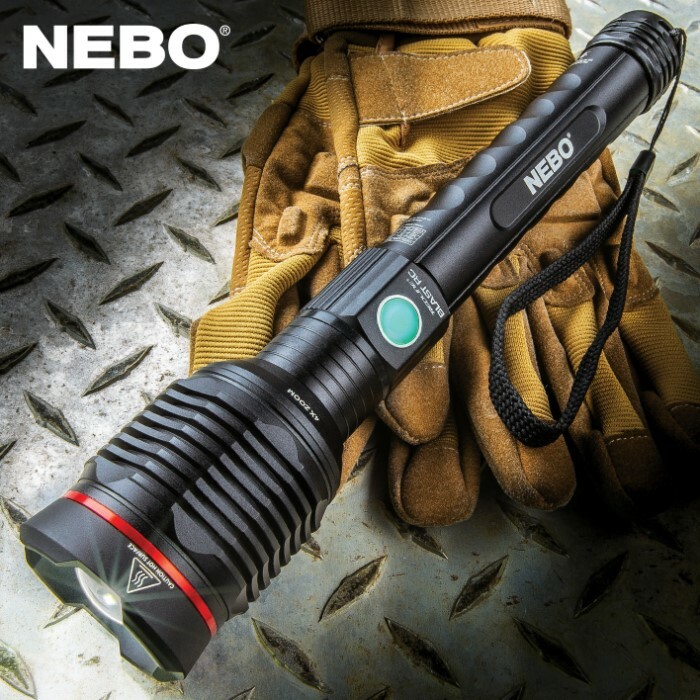 Nebo Redline Blast Flashlight - 3200 Lumens, Rechargeable, Water-Resistant, Four Lighting Modes, Power Bank | BUDK.com - Knives & Swords At The Lowest Prices! 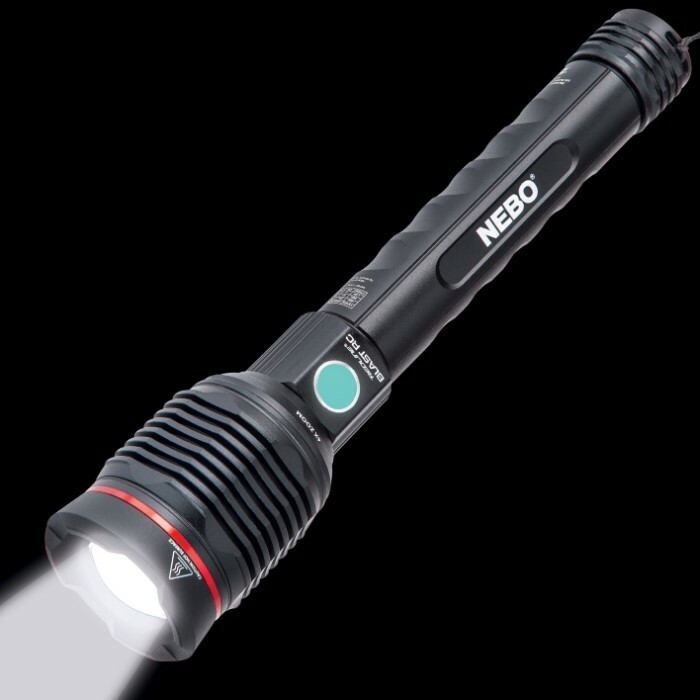 You won’t believe the features packed into this amazing flashlight! 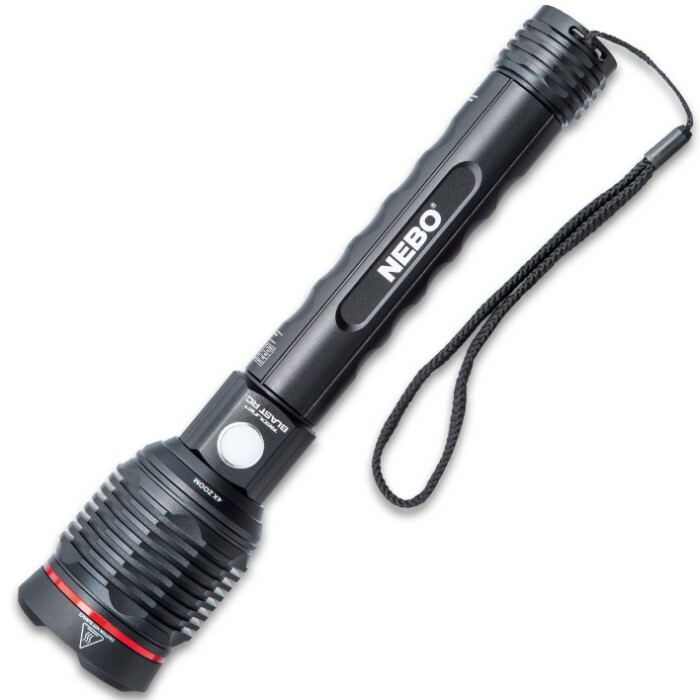 The Nebo Redline Blast is a 3200 lumen, waterproof, rechargeable flashlight that is also a power bank for your USB powered devices. It is constructed out of anodized aircraft-grade aluminum, which is impact-resistant, and has a side-positioned, On/Off button that also serves as a battery charging indicator. 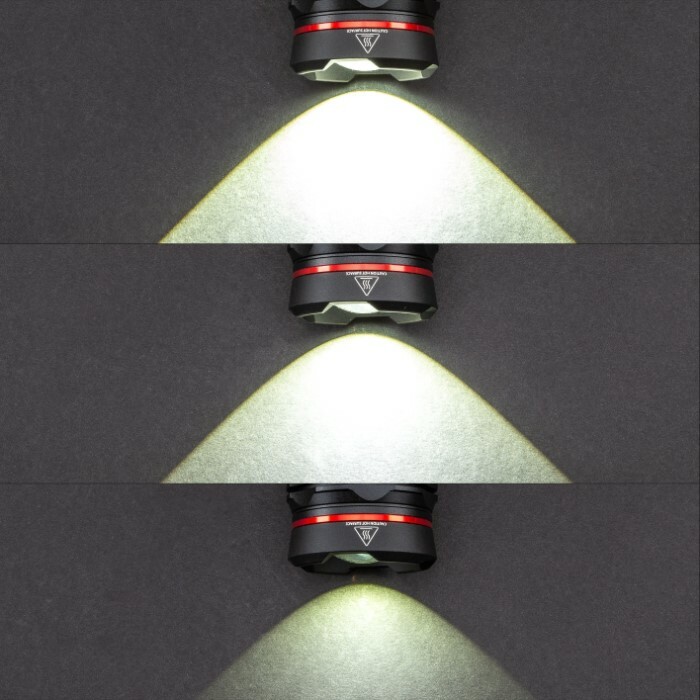 The tactical edged head has a convex lens with an internal glow-in-the-dark component located behind it to provide a secondary light source without using any battery life. The flashlight has four light modes including high, 3200 lumens for 2 hours at a range of 261 meters; medium, 320 lumens for 4 1/2 hours at a range of 82 meters; low, 32 lumens for 50 hours at a range of 26 meters; and strobe, 3200 lumens for 3 hours at a range of 261 meters. 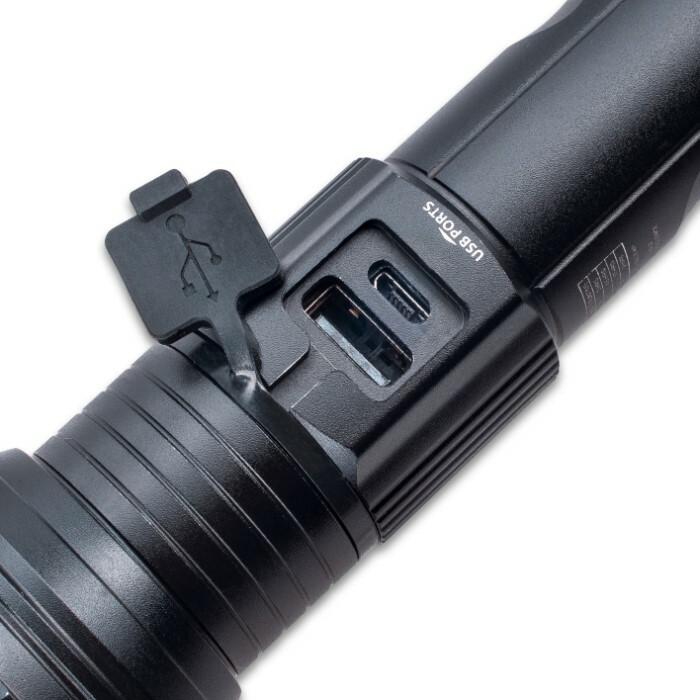 It also features a 4x adjustable zoom beam that offers flood light illumination and spot-light illumination. 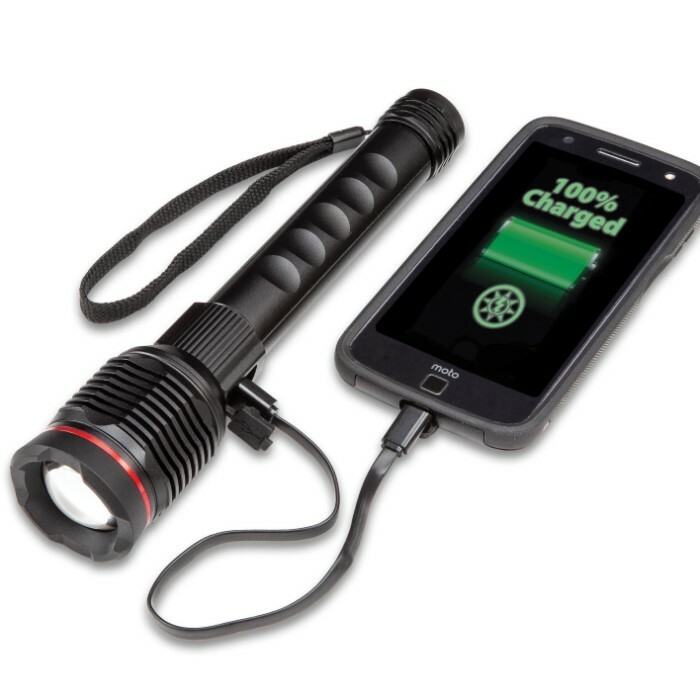 The optics are powered by two 18650 rechargeable batteries (included). 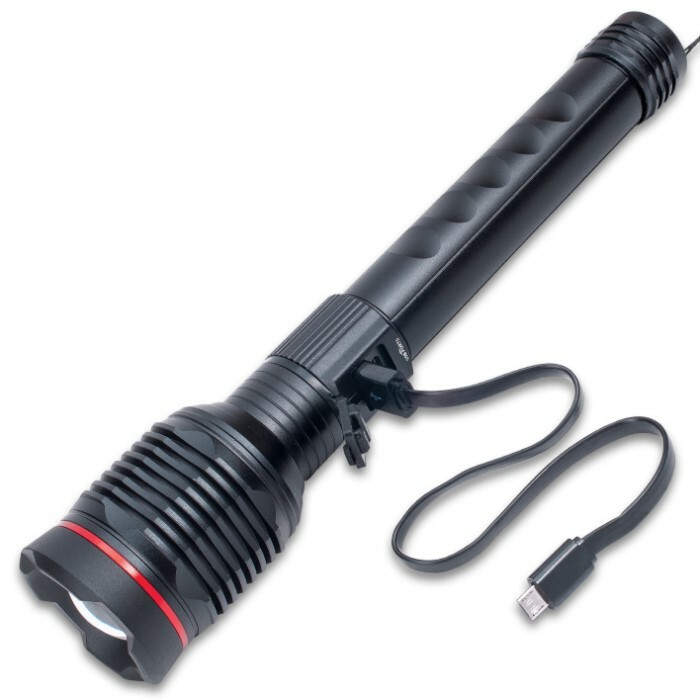 The 9 1/2” overall flashlight includes a Micro USB/Lightning to USB charging cable and a lanyard for convenient carry.